Boat motors were invented in the early twentieth century, and they quickly revolutionized the industry. The made boats more fun, faster and overall easier to use. Nowadays, all we need is enough fuel to have a hustle-free boating experience. Before motors were invented, you needed sails, oars, and lots of hard work. There’s no doubt that boat motors are essentials parts of a boat. That’s why it’s important to understand your options. Below, we discuss the four main types of boat motors. 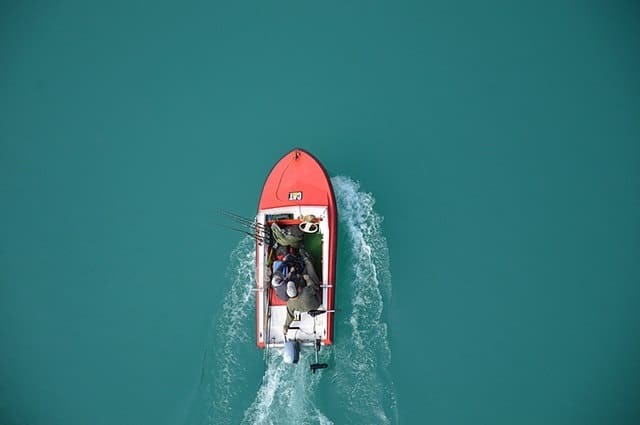 An outboard motor is by far the most popular and most used type of engine for propelling smaller boat varieties. These motors are designed to be attached to the outside of the boat transom. The motors have three main components, namely, a gar box, a propeller and a self-contained unit for holding the actual engine. Typically, these motors are light and small, and rather quiet. What’s more, they have more horsepower per each pound of weight compared to other engines. BBMS Swanwick has a variety of outboard motors for sale so if you’re looking for one, they’re one of the good options. Another big benefit to outboard motors is that they are pretty easy to control and operate. They’re also relatively simple to remove for storage or repairs. While most of these varieties have two-stroke engine design, and most use gasoline to power them, there are a couple of outboard motors with a four-stroke design. Boats that use outboard motors are generally propelled by the steering wheel which steers the vessel forward, causing the engine to rotate. An inboard motor is most commonly used for larger boats that exceed 26 feet in length. These motors can be found mounted inside the boat and the shaft is attached to the propellers. The boat motor is position at the centre of the vessel which helps to facilitate equal weight distribution. These motors tend to be somewhat quieter than most other types of engines and offer more gas mileage. The rudder can be found behind the propeller and it helps control the steering of the boat. A jet drive motor is fixed inboard the vessel and does not have propellers. Arguably, it is a safer and more environmentally friendly option than the other boat motors as it doesn’t disturb marine life. These motors work by sucking water through the pump which is powered by the impeller. The water is then discharged at high pressure via a nozzle. This process helps the boat propel forward. Jew drive motors are not suitable for use in shallow waters. Also referred to our inboard/outboard engines, these motors are probably the most powerful and heaviest boat engines around. The stern drive motors have a range of features that you’ll find in outboard and inboard engines. For instance, they are self-propelled, and they are four-stroke engines, and normally they are mounted inboard and have a unit fixed to the transom. Stern drive motors help steer the outdrive which then rotates similar to the outboard motor, moving the vessel forward. If you like boating, make sure to take note of those 4 types of motors.